So everyone knows that there is no shortage of cannoli in Boston’s North End, but since Martin has a sweet tooth, we decided to dedicate our limited stomach space to checking out other Italian dessert places. 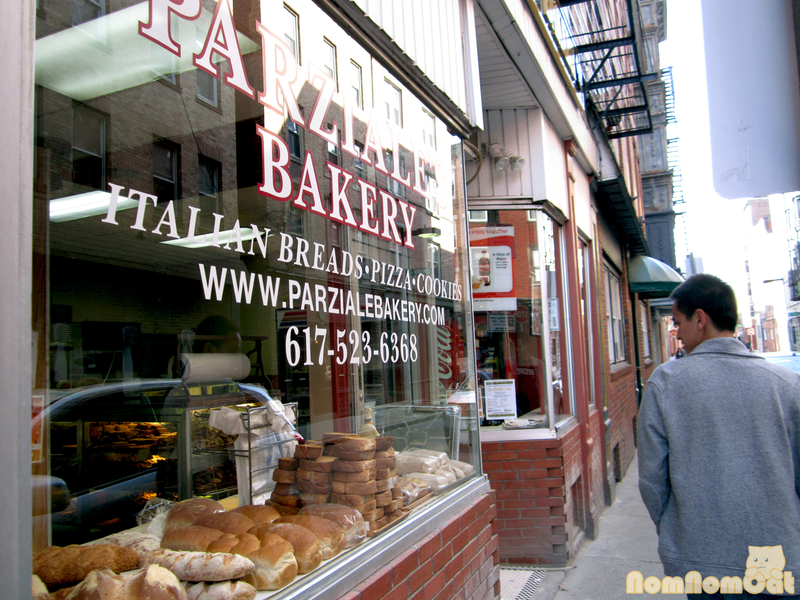 Our adventures led us to Caffe Vittoria, right in the heart of Hanover Street, and Parziale’s Bakery, a hole-in-the-wall situated off the beaten path among neighboring beautiful old brick buildings. Martin had had a craving for gelato since before we even left LA, so we definitely had to track it down while planning our North End visit. A quick Yelp! search led us to Caffe Vittoria. 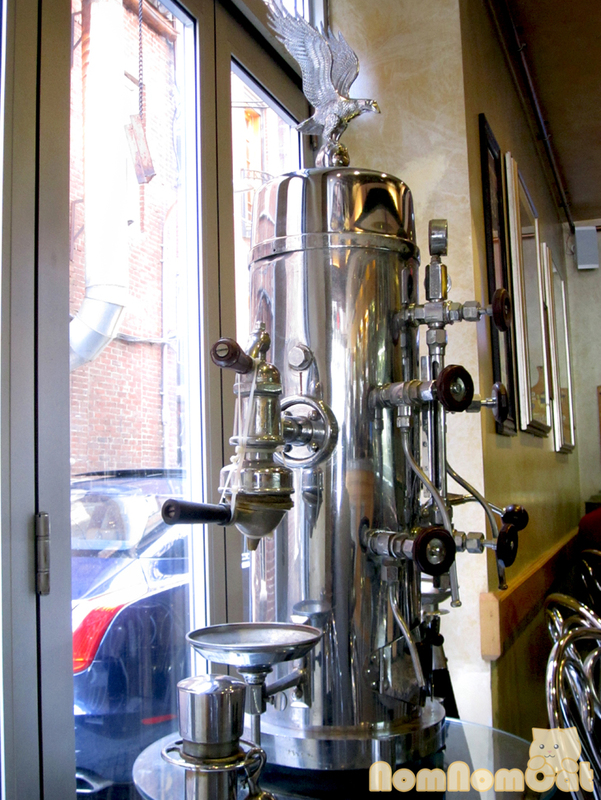 When we first walked in, we could not help but admire the shimmering stainless steel espresso machines, taking a seat next to this particularly crazy-looking contraption. There were plenty of tables open on that Thursday afternoon, but I would imagine that Caffe Vittoria is a bustling hotspot for after-dinner (for no-frills places like Giacomo’s which does not feature its own dessert menu) and weekend patrons. Martin loves coffee-flavored ice cream, so when he spotted the availability of both coffee and cappuccino flavors on the Gelati list, he seemed pretty excited. 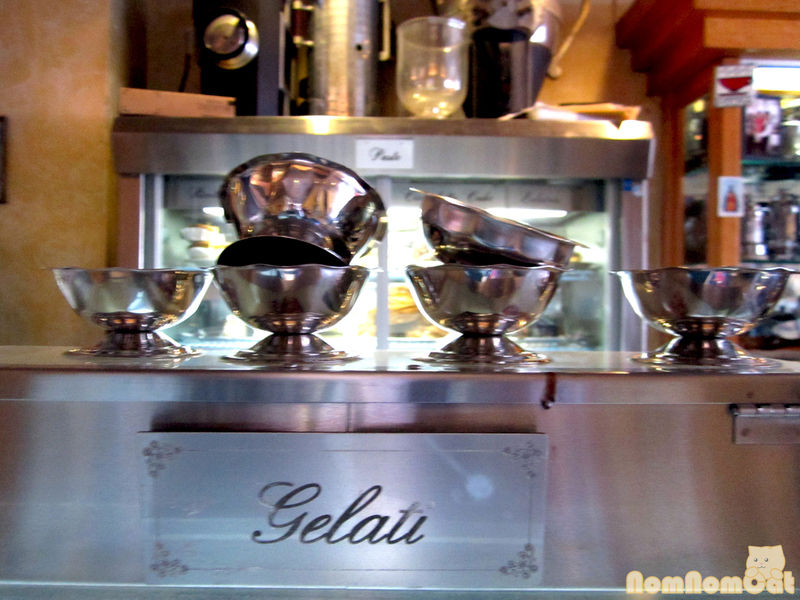 The gelato is homemade and bore an interesting texture – fluffy and creamy like ice cream but also a bit dense the way gelato should be. Meanwhile, I spotted spumoni on the desserts list and knew I had to have it. Just seeing the word harkened good memories of my first spumoni experience – a little fancy scoop of tricolor ice cream topped with a maraschino cherry, lighting up my 4th-grader eyes during a field trip meal at The Old Spaghetti Factory. 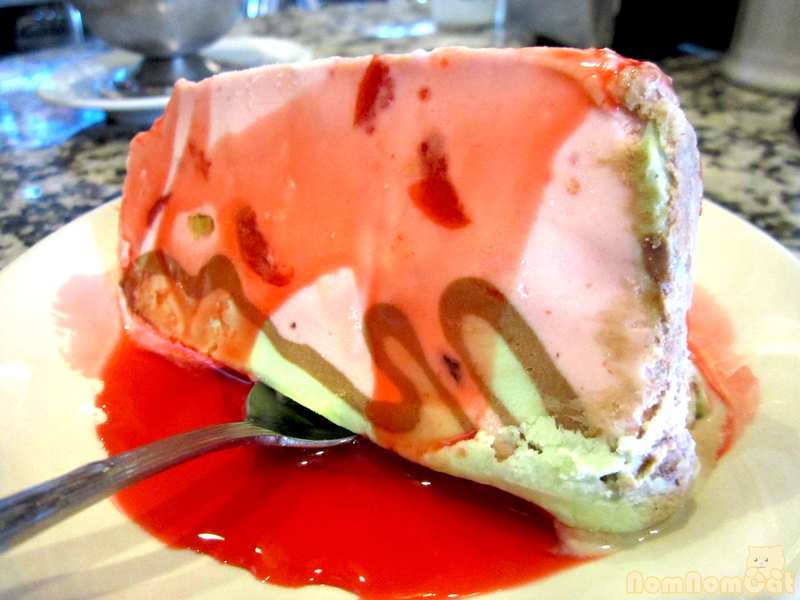 Caffe Vittoria’s spumoni is a wedge of hard-frozen gelati dotted with pistachios and cherry bits and served drizzled with some of the maraschino syrup straight from the jar! The ribbons of color were beautiful (that red really pops!) and the flavors were great. After devouring our frozen treats and feeling officially chilled to the bone, we continued our adventure, cutting through smaller streets and navigating away from the main throngs off Hanover. After we found the quaint little storefront, Martin took a moment to glance through the beautiful display of the window. The pastries beckoned to us and we quickly answered their call. 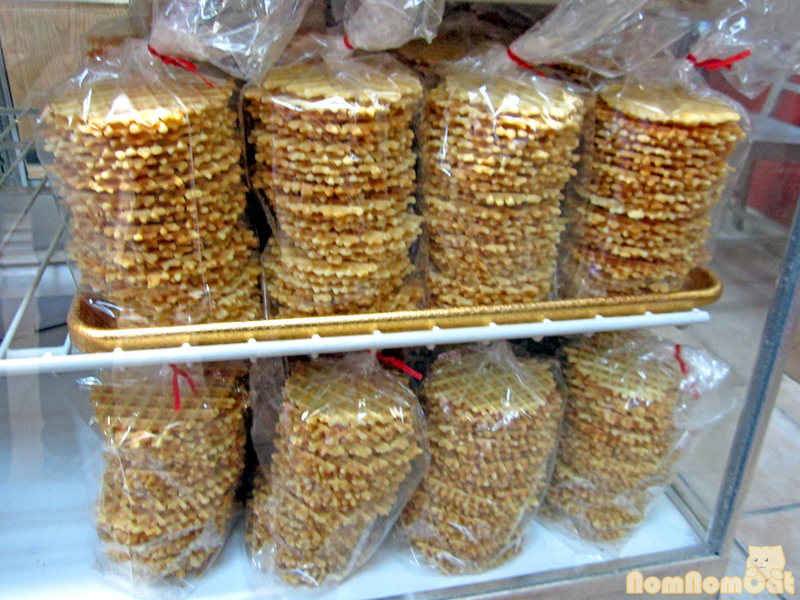 Pizzelle, an Italian crunchy waffle cookie. We picked up a package to bring home. The ones here are flavored with aromatic anise and taste delicious with ice cream. Hint: if their round shape seems familiar, it is because pizzelle cookies, freshly baked, can be rolled up to form cannoli shells! 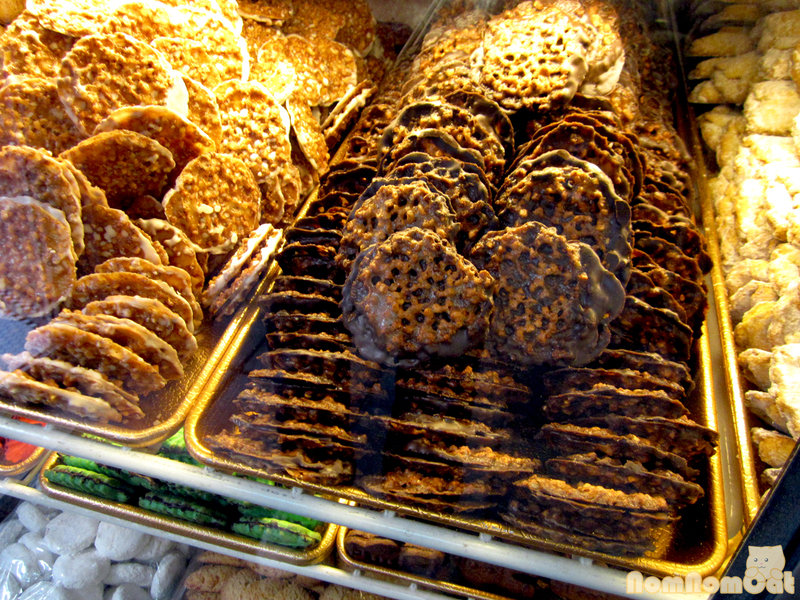 The friendly woman behind the counter also convinced us to try the florentine cookies and boy are we glad we did. The crispy, lacy texture carried the essence of toasty caramelized sugar. Dipped in white or dark chocolate, these were amazing! 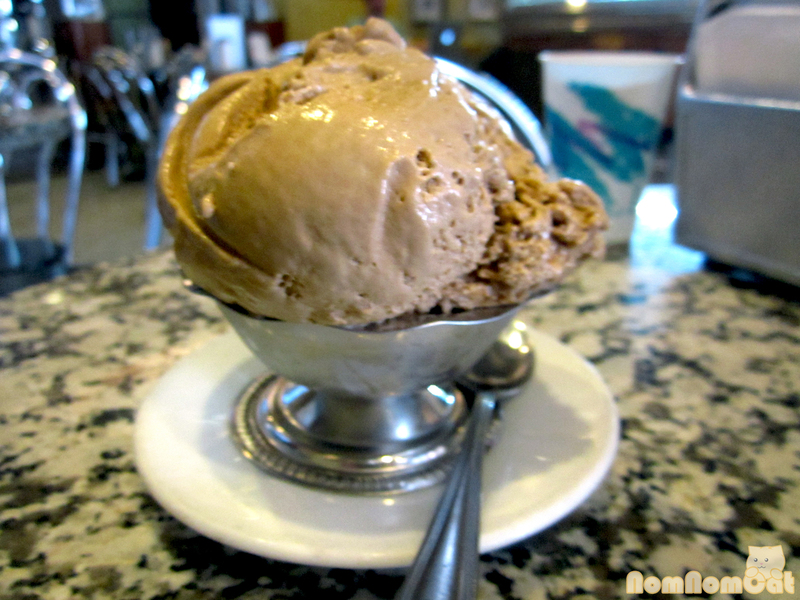 If you’re hanging out in the North End, grab some gelati or relax with a latte from Caffe Vittoria. 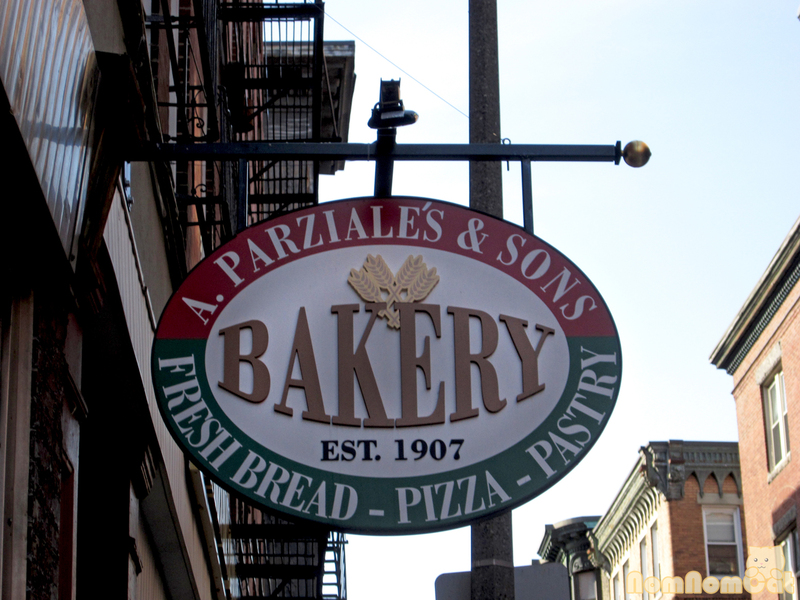 Or pay a visit to a century-old bakery (seriously – they opened in 1907!) and bring home some cookies that are sure to please. Ever since shortly after we graduated high school, my best friend and I have not lived on the same coast. Luckily we have this thing called the Internet, and in college, much of my extra spending money was saved up for the occasional jaunt to New York to visit and catch up. I know, what does this have to do with the cookies? I’m getting to it. You can take the boy out of southern California but you can never really take southern California out of the boy. As he moved from cold-weather-state to cold-weather-state, I knew he missed home and the sunshine. One day, knowing of my love for limoncello and baking, he sent me this recipe that had been adapted from an Italian cookbook. In retrospect, I think he was also not-so-subtly hinting at me to send him a care package. If you don’t have semolina on hand, I discovered that you can substitute Cream of Wheat, 1:1. I also found that being a bit more generous with the limoncello helps the cookies really sing with that lemony goodness. Not to mention that adding some extra lemon zest helps to yield cookies that are just like brilliant rays of sunshine bursting out of a USPS Medium Sized Flat Rate Box. 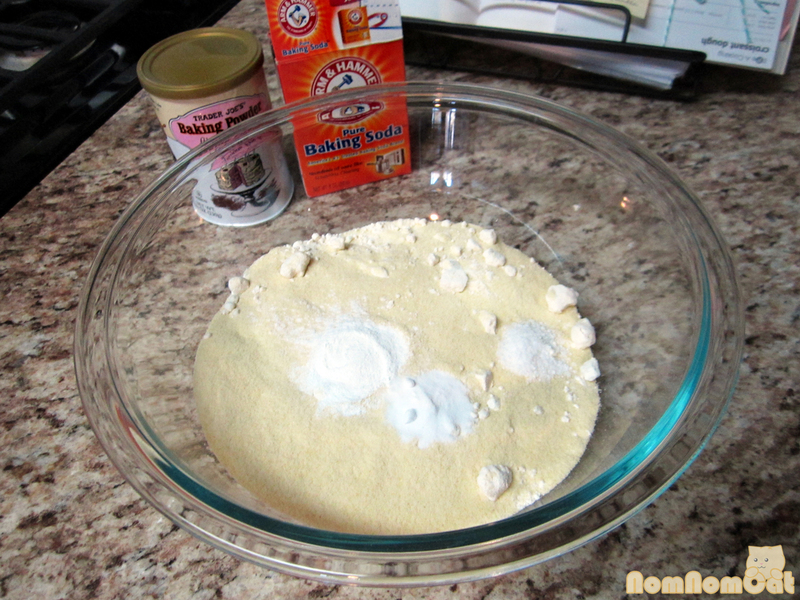 In a medium-sized bowl, combine the dry ingredients: flour, semolina, baking powder, baking soda, and salt. 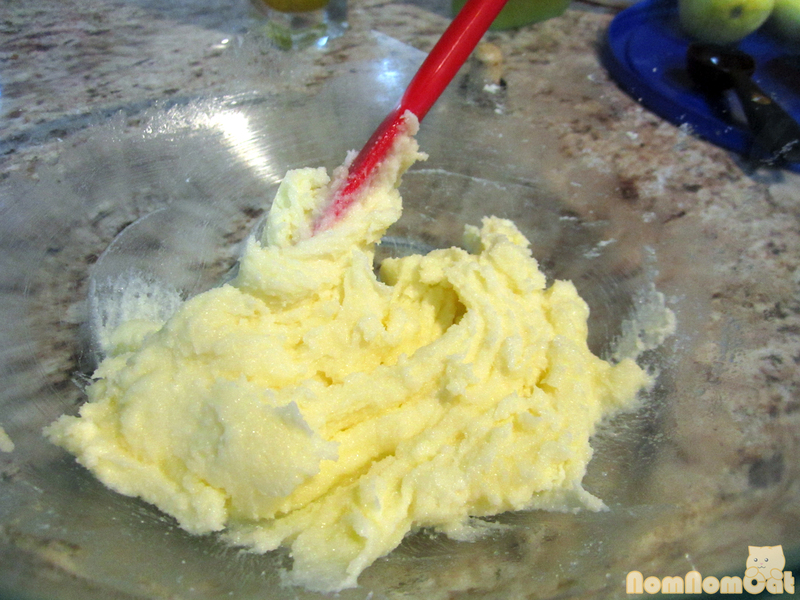 In a large bowl, cream the softened butter with the sugar and olive oil. Forget to leave the butter out on the counter to soften? I do that all the time! I don’t have great foresight when it comes to baking. But after the croissant making class we took at Elle A Cooking, we learned a spiffy trick to get straight-out-of-the-fridge butter soft and ready to go. 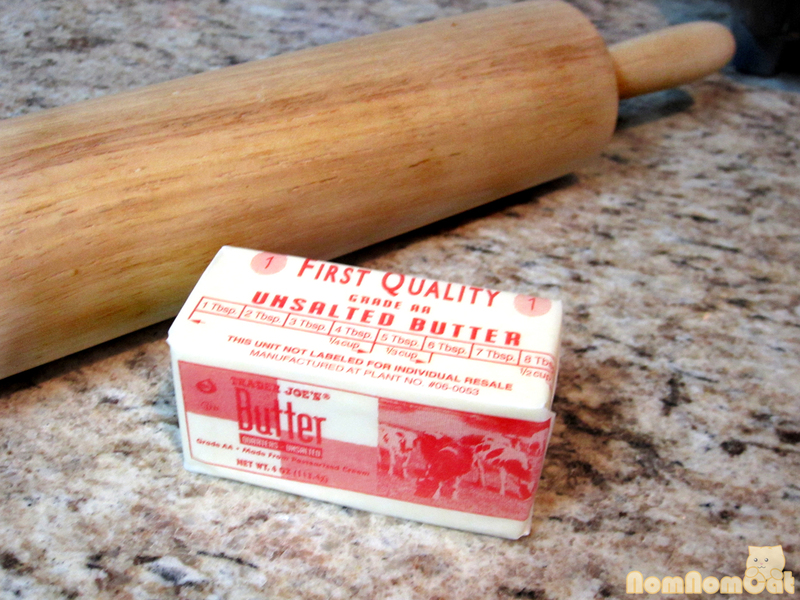 If you’re using the whole stick of butter (we are in this recipe), leave it in its wrapping and whack it a few times with a rolling pin. 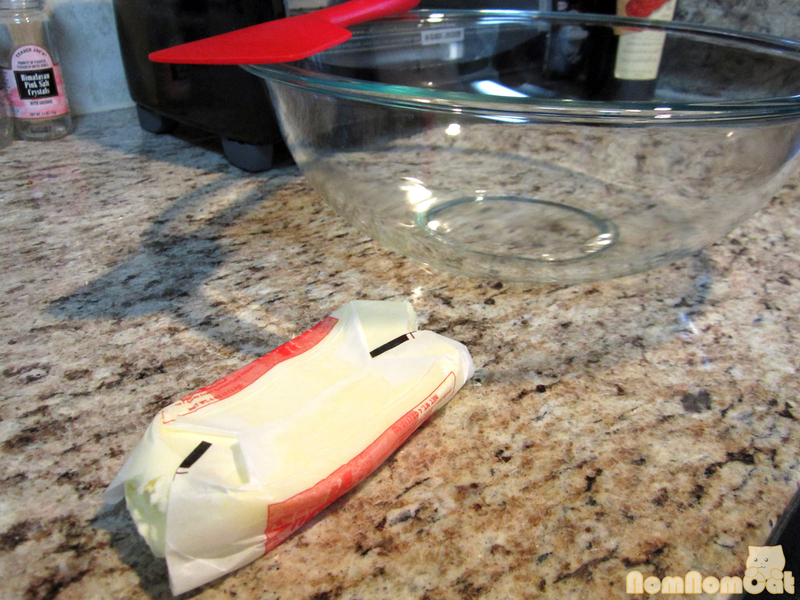 Alternatively, you can place the butter between 2 sheets of parchment or wax paper and do the same thing. Pounding it out somehow softens it enough for creaming. Probably something to do with kinetic energy, like warming up before you work out. Shrug. 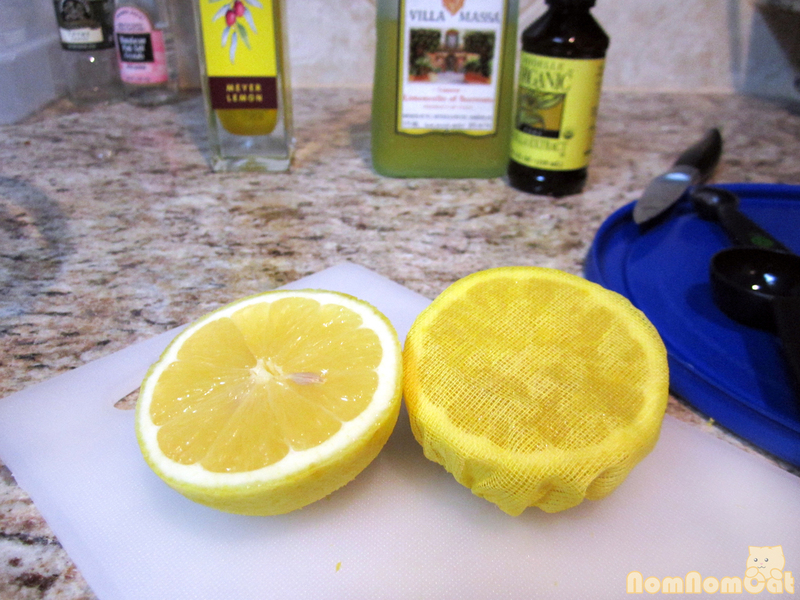 You can use these Spiffy Lemon Covers to catch the seeds! Now add your lemon juice, limoncello, vanilla, and zest. It will look liquidy and the butter may look globby. It’s OK. Just mix together as best you can. 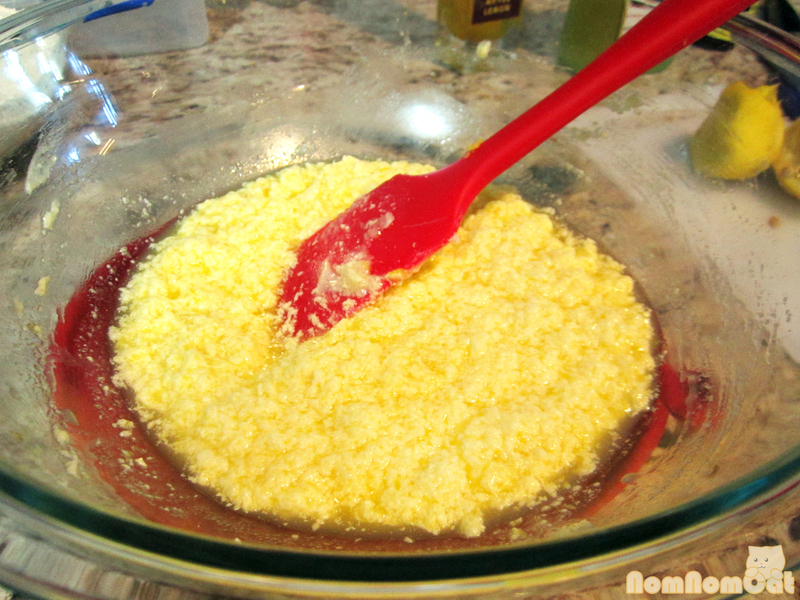 Slowly add the dry ingredients, stirring to combine until you a ball of dough starts to form. 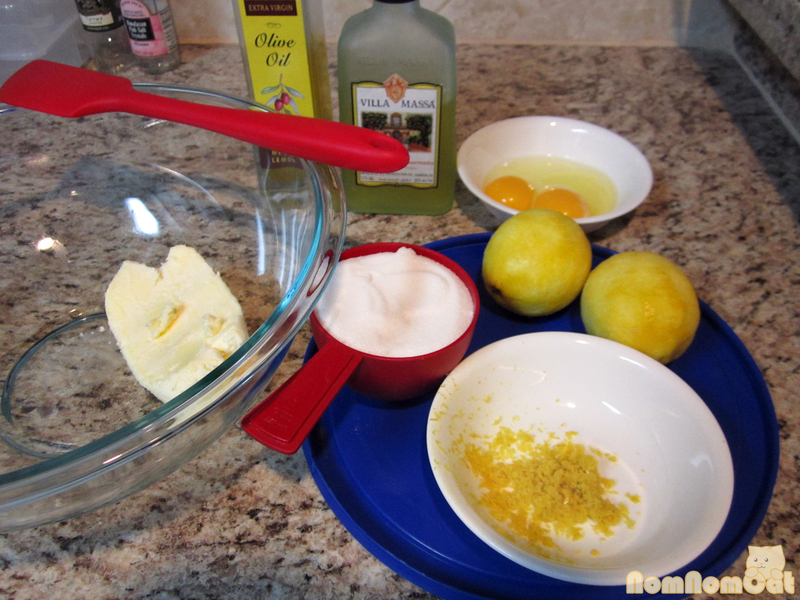 Mix well to incorporate all of the lemony goodness into the dough. 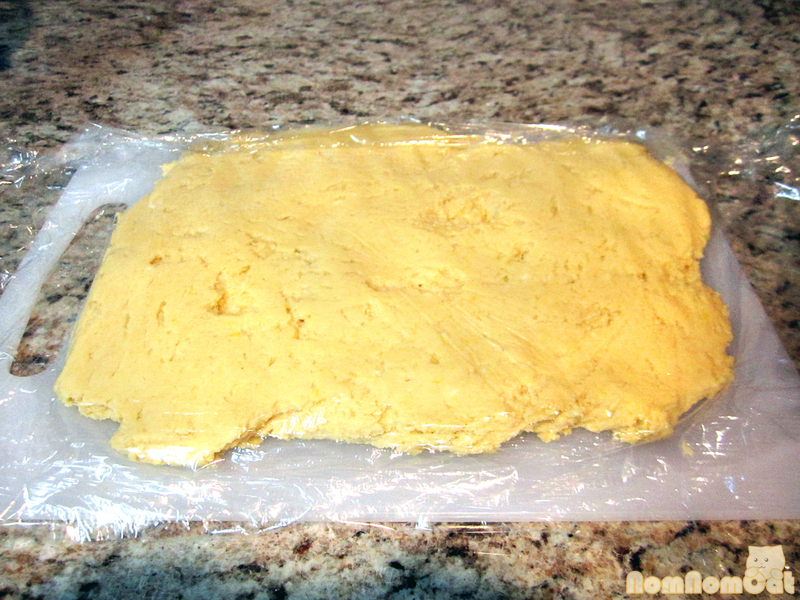 Set up a sheet of plastic wrap and pour out the dough to form a disc. Cover with more plastic wrap and let chill in the refrigerator for at least 1 hour (2-3 hours would be even better, especially if your kitchen and/or house is on the warm side). One hour later… preheat the oven to 325 degrees. 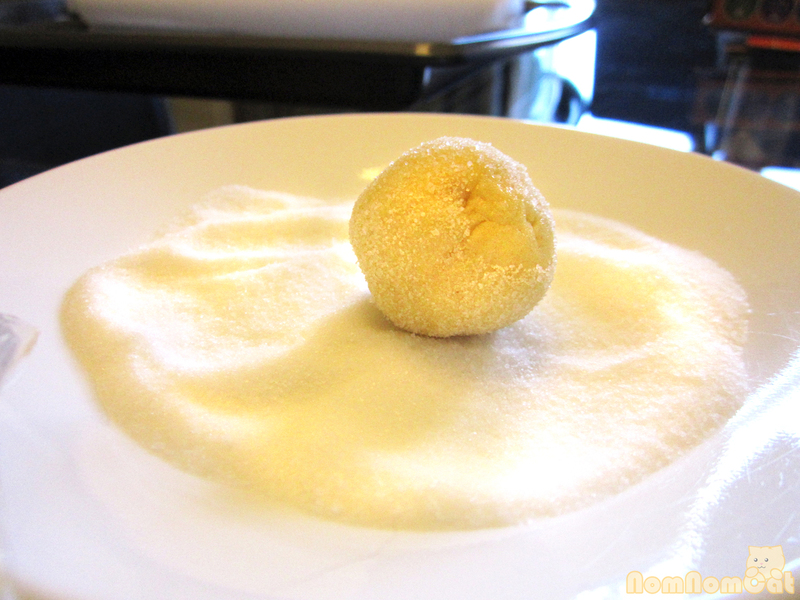 Set up a plate or shallow dish with granulated sugar. Break off pieces of the chilled dough and roll between your palms into cute approximately 1-inch diameter spheres. 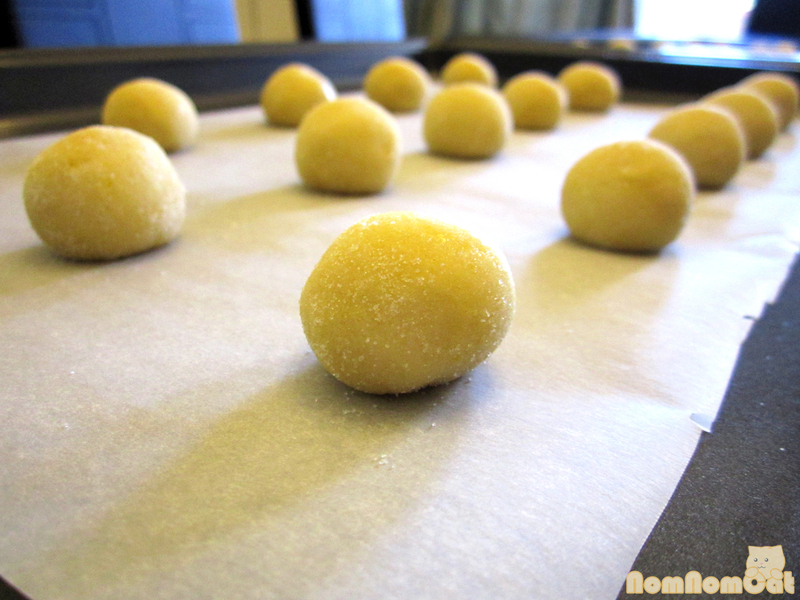 Roll each sphere in the sugar to coat and then place on a baking sheet lined with parchment paper. 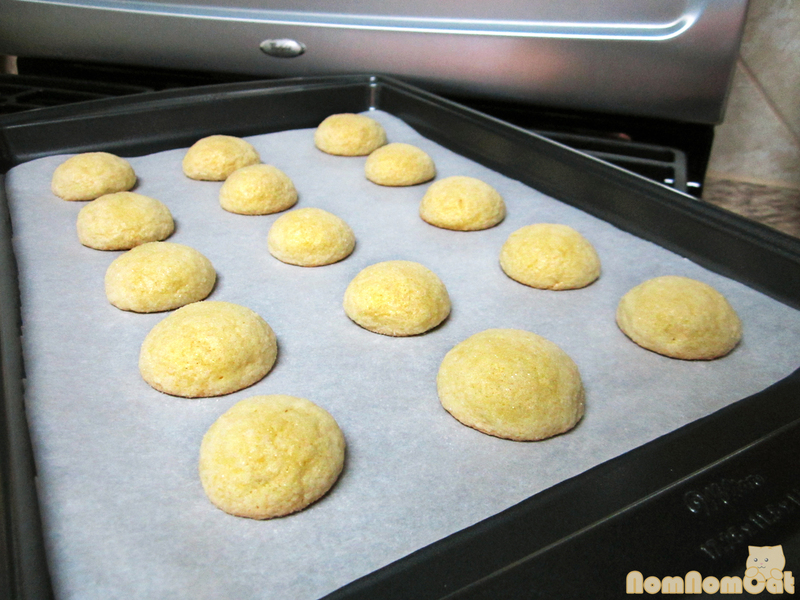 The sugar will help give the cookies a wonderful crisp and crackle on the outside. The cookies do spread a little so leave about 1.5-2 inches between them. This batch of dough yielded 4 trays of 15 cookies. Cutest tray of cookies ever! 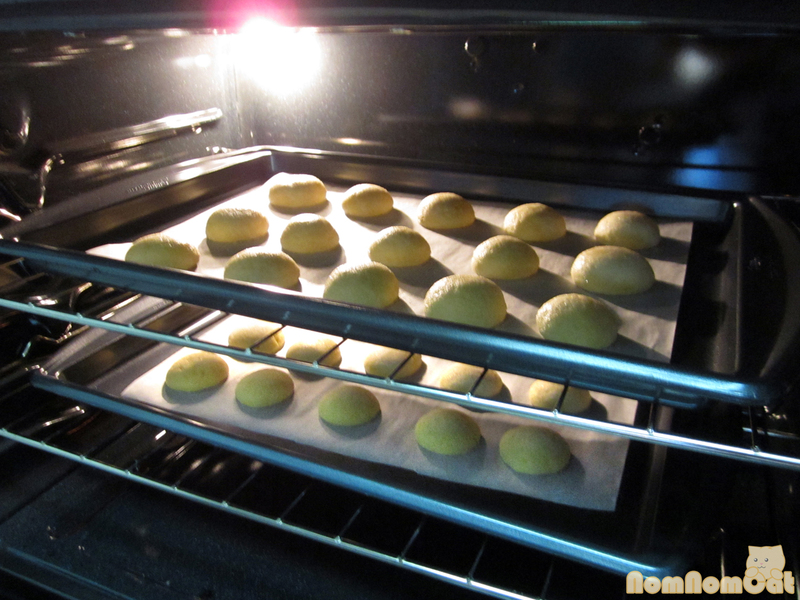 Once you fill up 2 trays, place them in the oven and set a timer for 7 minutes. At this halfway point, swap the trays so that the tray on the top rack is now on the bottom one and vice versa. Also rotate the trays so that the side that was closest to the back of the oven is now at the front. Set the timer for an additional 7 minutes for a total of 14 minutes bake time. Couldn’t resist snapping a quick picture! 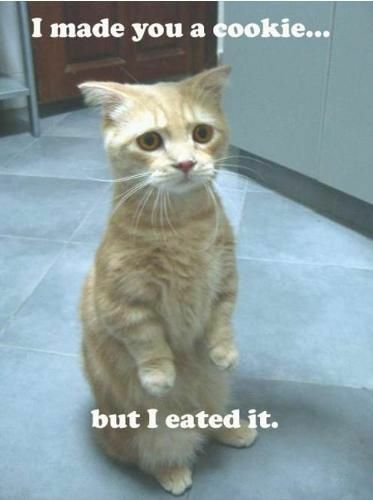 I know, I know – who wants to expend the extra effort? I used to skip this step too and bake the cookies for the full 14 minutes in one shot, but for this last batch, I went the extra mile and every cookie was a beautiful, perfect golden brown on the bottom. Totally worth it, so just do it. 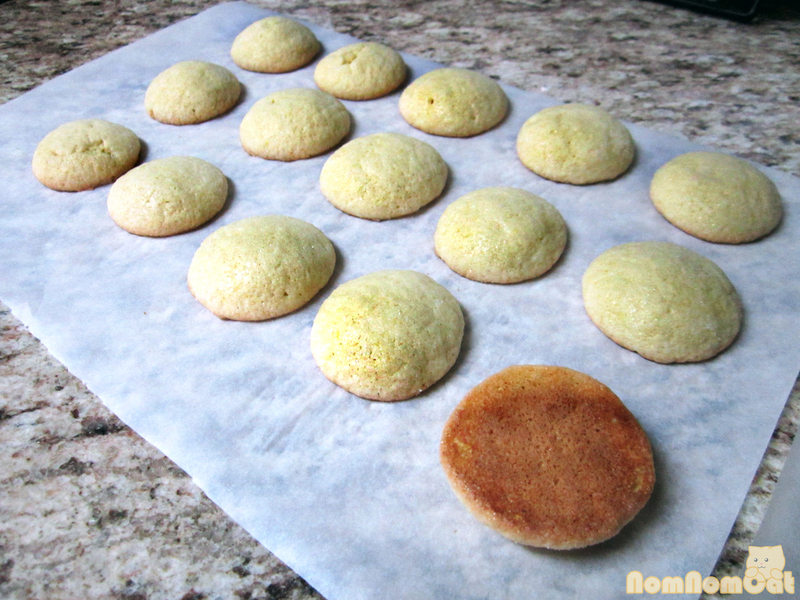 Eventually transferred these to a cooling rack instead..
Take the cookies out of the oven and transfer to a cooling rack. I initially left them on the parchment and simply moved them to cool on our countertop, but the heat creates a steamy condensation on the bottoms and starts making them soggy. They taste great fresh out of the oven and keep well in an airtight container left at room temperature for a few days… if they survive that long! PS: We were inspired to whip up a batch after finding some beautiful golden Eureka lemons from Gonzaga Farms (the same people who sell stone fruit from Tenerelli Orchards) at last week’s farmer’s market. PPS: This is also the first post in a series of alcohol-inspired or infused desserts I’m working on. Stay tuned!